Individualized Instruction to Address Students' Specific Needs & Goals! Total Learning Concepts offers individualized reading, writing, math, and other programs to enable a person to improve his/her ability to a grade appropriate level, to enrich skills beyond the school curriculum, or to reach the student's specific academic goals. Once academic strengths and weaknesses have been individually evaluated, a program is tailored specifically for the student to achieve maximum results. 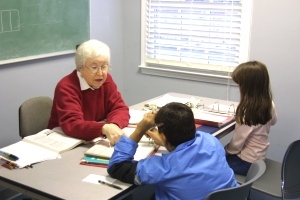 During sessions, our highly effective instructors utilize teaching methods which address the student's areas of weakness, strength, and learning style. Additionally, all of the educational materials used during sessions are from reputable publishers and have a proven track record of effectiveness. Sessions Scheduled on an Individual Basis / In-Person Consultation Required.